Football fields, baseball fields, soccer fields, and other athletic fields often require tarps and covers, as well as liners. Nowadays athletic fields not only provide venues for sports and games but in many cases, are also utilized as fund raising sites during games and other events. With today's technology, athletic fields are better utilizing irrigation and water run off. Western Environmental Liner not only fabricates liners used underneath these playing fields (for storm water management) but also fabricates field tarps and covers that go above it. We can help you maintain these amenities so that they are fully functional when needed by providing you field covers that are very durable and that come with heavy duty pull handles on all sides for easy deployment and storage. We can custom manufacture softball and baseball field covers that are large and easy to place and refold. We supply Turf Covers for golf courses and other large sports fields. Our cover and tarp materials are specifically manufactured to shed and move water, using our more than 30 years of experience in water management. 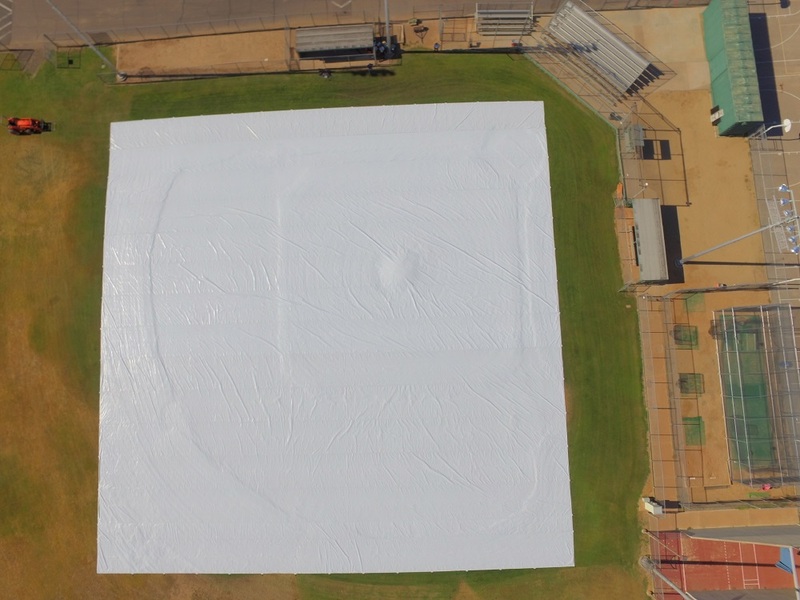 Whether you need athletic field covers or mound covers, Western Environmental Liner is a great solution to your project to help you preserve and enhance the quality of your field surface. Our multiple factories located in Tolleson AZ, Romulus NY and Great bend KS along with our service crews all over the country assures you that we will be able to serve you in a reasonable amount of time. For any questions and inquiries call today and one of our liner experts will be happy to assist you.